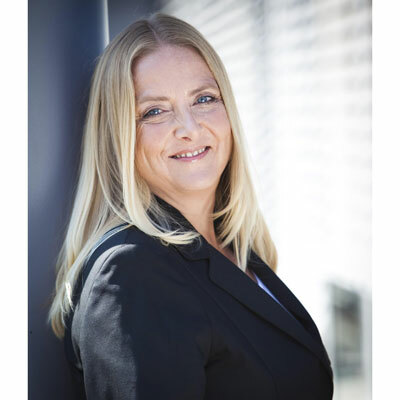 Petra Heinrich joined Red Hat in January 2007 and is responsible for the development and execution of Red Hat's partner strategy and partner sales across EMEA. This includes the indirect go-to-market strategy and execution with distributors, solution providers, system integrators, OEMs, ISVs, CCSP's (Certified Cloud Solution Provider) and associated programs. With over 20 years experience in partner management and business development, Petra is a champion for open source collaboration to deliver innovative solutions for today's business challenges leveraging Red Hat's business partner network and global alliances. Prior to joining Red Hat, Petra held roles with IBM, Suse and Novell. Petra began her career in operations and always wondered how it was that orders were sent at the very last day of the quarter! She moved into sales where she managed distributors. It was here that Petra realized her passion for connecting people, working with partners, helping influence them and working together with them creatively to produce great initiatives. "Stronger together" is Petra's personal mantra. She believes deeply in sharing ideas, expertise and learning from each other, working hand in hand with partners to help them achieve more. A little known fact about Petra is that she's a professional photographer. I am very proud to have led the overall partner strategy for Red Hat EMEA and help our partners on their path to success with open source and digital transformation. Never before have our partners commercial complexities been so acute. IT is now viewed by many organizations as integral to their very business model and the key to their survival. This year we conducted a survey with CRN/Channelnomics Europe, just 22 per cent of partners said they are currently fully equipped to help customers with digital transformation projects, 35 per cent cited lack of in-house knowledge and skills as their biggest concern in terms of supporting customers on their digital transformation journey and 57 per cent indicated they had experienced difficulties resourcing their business in areas such as cloud and IoT. Red Hat is positioned like no other, to my mind, to help solve these challenges via our partner team, Red Hat's training and certifications in emerging technologies and expertise in multi cloud, hybrid cloud and digital transformation. Partners account for around 80% of our business globally and we are the most successful open source company in the world, I am proud to be part of that success! We strive for vertical excellence with our GSIs, solution providers and ISVs, driving innovation and helping partners to grow within and beyond their customer base with Red Hat supporting their digital journey. Helping our partners to build meaningful connections - between each other, with other vendors, with customers who are becoming partner types, in this changing world nobody can do everything on its own - collaboration is key. *Please note that Red Hat is currently in it's quiet accounting period and cannot make forward-looking statements. Invited to participate in Red Hat's ALDE "Accelerated Leadership development"program - ALDE is designed for Senior Directors and Vice Presidents who have a track record of excellent performance at Red Hat and demonstrate the engagement, capability, and aspiration to significantly extend their leadership impact. Presidents Club- Sales Excellence Award - awarded by Red Hat. President's Club is a program designed to drive performance and excellence across the Sales teams by recognizing significant contributions from top sales and supporting associates. I am proud to have been recognized with President Club awards every year since 2011! Evita Peron. She inspired millions with her campaigns to help the poor and give women the right to vote. She strove to overcome poverty and injustice, and was at heart of politics with both supporters and detractors, but was steadfast in her beliefs. A strong lady I admire very much. I am in awe of charismatic personalities that not only present on stage to huge audiences, but actually inspire that audience. The great speakers. It's something I study a lot - TED talks, Barack Obama and our own President and CEO Jim Whitehurst, who is so renowned for treating his audience to a history lesson that they come to expect it and look forward to it. All very different speakers but commonly, are authentic, engaging and truly grip people with inspirational anecdotes, stories and presentation styles. I enjoy public speaking but it's an area I would love to improve upon. John Irving - A prayer for Owen Meany I have read this book twice. I admire John Irving and the way how he expresses his thoughts and feelings about the world today and our responsibility as human beings. The story touched me greatly - I was quite young the first time, and now I have more life experience the story resonates on a different level. I love reading. It transports me to a different place, outside of work, everyday life. helping me to relax and open my mind. My best ideas come after a great book and good night sleep.